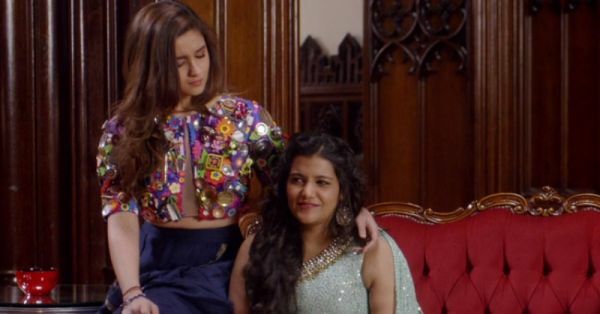 11 Things You’ll Totally Get If Your Sister’s Shaadi Is In 2017! Nothing can be compared to the joy of your sister getting married. You have a new family member and have now become the “saali/ aadhi-gharwali”. From the shopping to the wedding planning, there is a lot to look forward to. So here are a few things you will relate to if your sister is getting married this year! Your sister is going to be dependent on you for everything, right from the day she gets hooked and booked. From helping her sneak out to meet her fiancé to helping her choose the right colour for her lehenga, you always need to be around her. 2. Shopping, shopping and more shopping! There is going to be no end to shopping. You are going to be spending months with your sister and mum not only looking for the perfect outfit for your sister but also for yourself and for your mum! Phew! Décor? Check. Food? Check. Venue? Check. Lighting? Check. Photographer? Check. Music? Check. You are the head planner and everyone is depending on you to keep a check and control over everything. And, not to forget, you need to plan the best bachelorette party ever! You can’t stop teasing your sister with her fiancé and cracking cheap jokes about them gives you the thrills. Also, you can’t stop embarrassing your brother-in-law every now and then by calling him “JIJU”! 5. Oh wait! That means I am a “saali” now? Till now you had only heard this in movies but now you are one! You are a “saali” now and this new relationship is definitely very exciting for you! You are looking forward to sharing a great bond with your brother-in-law and chilling with him for the rest of your lives! Each time your sis wants to vent, you become her punching bag. You are the victim of your sister’s bridezilla mode and there is nothing you can do to avoid that. And all you sit and wonder is if there a “sister-of-the-bridezilla” too - since you too are going through so many emotions! Your house is full of activity and all your relatives and friends come over in the evenings to rehearse for the dances. You have now become the leader and need to be the one coordinating with everyone. After all, “ladkiwalas” have to outdo the “ladkewalas” right? You have no time left for your friends as you are so busy planning your sister’s wedding. After all, it is “ghar ki shaadi” right?! Apart from your sister, there will also be moments when your mom or dad might lose their cool or might start getting worried and hyper about things. This is the time you take over and calm everyone down and help them solve the problems.